The 2014 Acura TL is a midsized luxury sedan that offers a longer list of standards for a lower price than any competitors. It works hard to be just as luxurious as its rivals. The exterior has been criticized for its unusual looks, but even that was softened to avoid the controversy. The interior is spacious and well-designed. Acura aims for a special place in the market by pricing its cars low and keeping them lower even if with options. In fact, with a price ranging from $37,000 to $47,000 fully loaded, the 2014 Acura TL will save big over similarly-sized BMW or Audi. The difference in price can be startling when you figure up everything that Acura is willing to include. 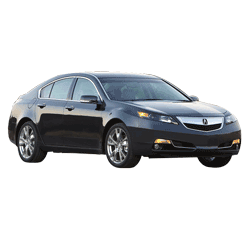 For the lower price, 2014 Acura TL drivers get the best of dashboard tech, advanced crash avoidance technology, and plenty of luxury. Acuras also have been shown to be very durable and to demonstrate a low cost of ownership. The sum total is a very affordable luxury car. In the 2014 Acura TL, leather covers the seats and steering wheel. The cabin itself backs up this leather luxury with high quality materials at every touch. The hooded central screen lets you see the digital gauges without interfering glare. The design is artful with quality craftsmanship that shows in the tight panel gaps. Elements are well-proportioned, making the most out of cabin space. The seats themselves have been engineered with special dense materials that absorb road vibrations, creating a more positive experience for passengers. Dials and gauges are carefully placed within the driver’s line of sight. Even on the base model, the front row multi-adjusting power chairs offer power-heat with individual selections for cushion and seatback. Ventilated seats are a favorite option. If the car’s auto-temp controls are not enough, you can opt for GPS-controlled heating and cooling. This unique feature recognizes the angle of the sun and other factors to create a better atmosphere for the driver and passengers. The standard moonroof lets fresh air and sunshine into the cabin. The 2014 Acura TL stereo is top quality with sound imaging and Dolby ProLogic. Bluetooth ensures simple sync with your smartphone. The base gets a high res audio display. Packages add a choice of touchscreens that place tablet capability on the dash. Navigation features AcuraLink traffic that can pinpoint problems. The stereo can be upgraded to more than 450 watts of crisp sound. A rearview camera lets you see whatever is behind the car. With the key in your pocket, you can approach the Acura TL and unlock it by touching the handle. Push Button Start adds modern intelligence to the dash. The smart key also lets you roll down the windows and/or open the sunroof to let the heat out. The 280-horsepower V6 comes with front wheel drive, and the performance is good enough for this size vehicle. Yet the real thrill comes from the SH-AWD models with their 300-plus horsepower engine. The All Wheel Drive system can move torque to the front for front wheel drive, to the back for rear wheel drive, and even from side to side. A dash gauge lets the driver know how the system is working. When needed, it can provide traction in snow or on sand. The 2014 Acura TL offers bracing, sport performance. Cornering is crisp and precise. The electric power steering helps keep the lane even on curves. A six-speed automatic offers paddle shifters to give drivers extra control. The AWD model comes with the option of Acura’s advanced manual transmission. Adding to the handling, the TL body structure is deliberately rigid. Acura uses high-strength steel to give the structure its strength while reserving aluminum and other lightweight materiasl for suspension features. The underside is nearly flat, reducing drag and helping drivers enjoy greater performance. The 2014 Acura TL has achieved a quieter cabin through a blend of insulation and engineering. Three layers of noise-absorbing glass are sandwiched between the two acoustic glass plates of the front windshield. Side and rear glass is extra thick. Engine mounts are electronically controlled to reduce noise. Suspension isolation has been improved by strengthening the chassis mounting points. The Acura TL uses radar to detect cars on its left or right. Acura TL drivers can keep out of danger by using this system when changing lanes. Preliminary research by the Insurance Institute for Highway Safety has demonstrated the effectiveness of this system. Like most luxury cars, the Acura TL doesn’t earn very good gas mileage. The FWD V6 gets 20 mpg in the city and 29 mpg on the highway. The SH-AWD models gets 18 city/26 highway. This is a midsized sedan with a small sedan’s trunk. It only offers 13.1 cubic feet of space. Some users find the many knobs difficult. Interface could definitely be simpler. If you are looking for a performance car that doubles as a family car, the Acura TL is a good candidate. 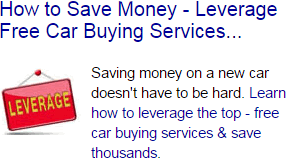 It is definitely the most reasonably priced on the market, especially with its long list of standards.